For the ultimate in braking performance, nothing beats Russells extended Brake Hose Kits. These brake hoses meet the strict guidelines of the DOT MVSS-106 requirements for street-driven vehicles and are legal in all 50 states. 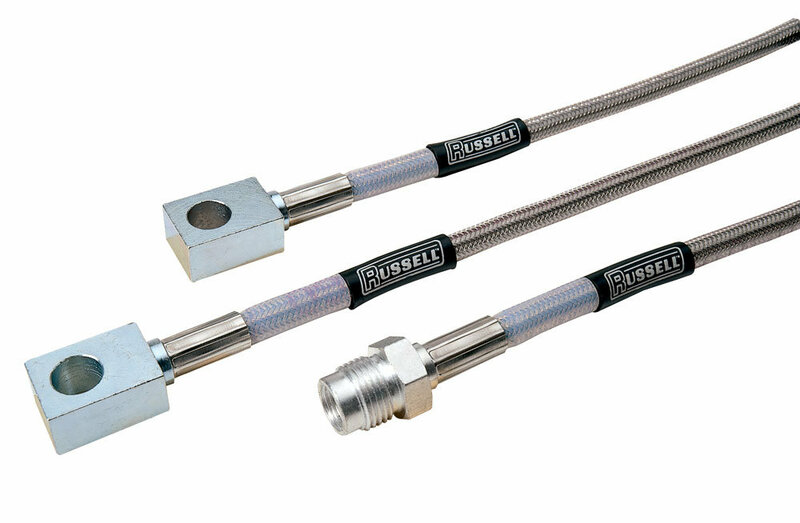 Brake Hose Kits feature stainless steel braided hose with zinc-plated fittings, factory assembled for installation convenience. Available for 97-06 Wranglers with up to 6 of lift. Each kit includes front and rear lines. Does not include banjo bolts or washers. Note: Kits do not include Banjo bolts & washers.